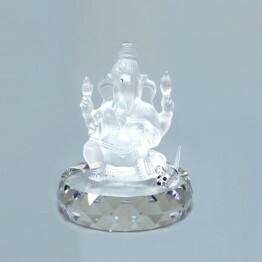 Ganesha is made of clear and frosted crystal. He is the god of auspiciousness, the beginning of all beginnings, the saviour of all that is good. 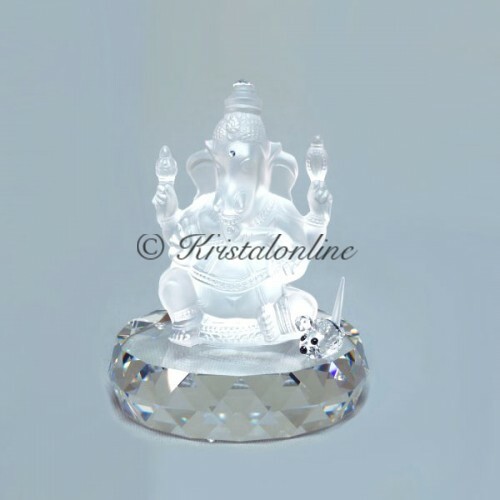 Ganesha is the guise of wisdom, knowledge, prosperity and removal of obstacles. He is seen as the embodiment of Buddhi (wisdom), and is often honored together with Riddhi (success) and Siddhi (spiritual power). Comes with a small mouse. This mouse symbolizes ego. Just like a mouse crunches everything, the ego picks up all the good in a person. The mouse is next to the feet of Ganesha. This symbolizes surrender of the ego. The mouse is also the Ganesha driveway. This teaches us that the mind must dominate the ego if we want to get ahead. 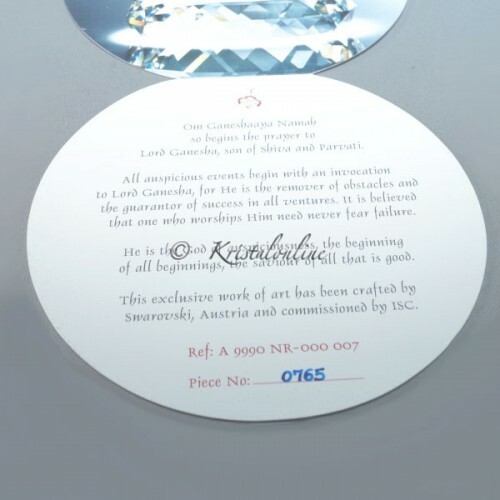 This is a limited edition of 1,000 pieces! It is very rare!